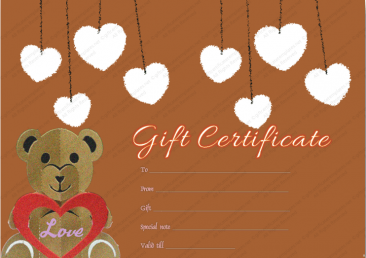 Are you in need of ideas for this holiday season on what to give? 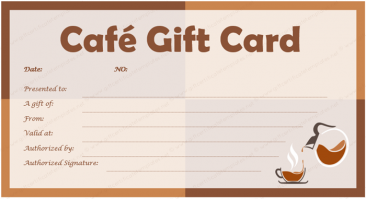 Are you needing that special gift for The pickiest person on your list? 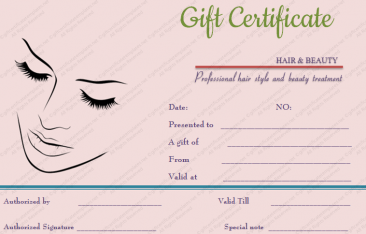 For every celebration there must be a gift and what better gift than a gift certificate? 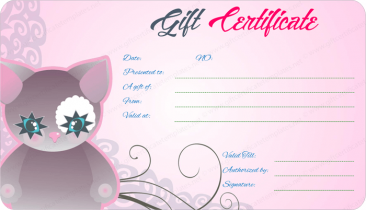 We are giving away free gift certificate templates for every occasion and even for the person who is the hardest to please a gift certificate is a great way to show your love. 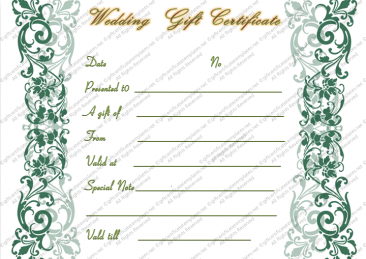 For every occasion in your life you can easily print off a gift certificate from our site. 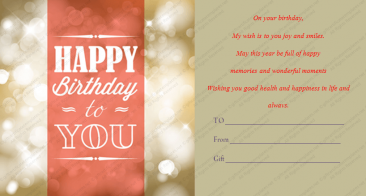 All you need is MS Word and you can hit download and load up a gift that pleases everyone even a coworkers. 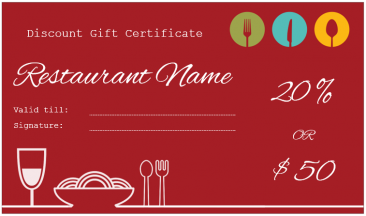 Think of how easy it will be this holiday season? 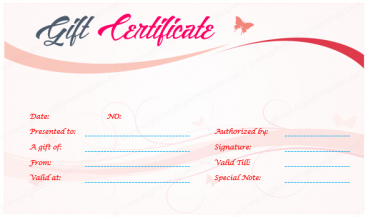 Design your own gift certificates with a personal touch and all free! 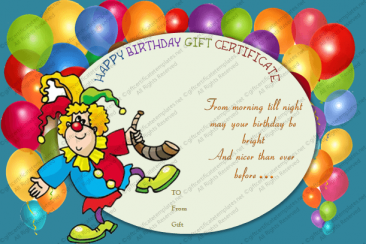 Don’t you hate when you go to the store and have forgotten that special birthday only to realize the gift certificates they have are not anything you would dare choose? Maybe it’s for that last minute Christmas gift that you had forgotten only to find they have nothing that is anywhere near what you like on the designs? 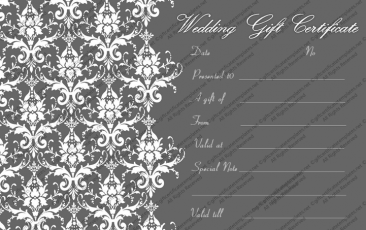 How about being able to design your very own. 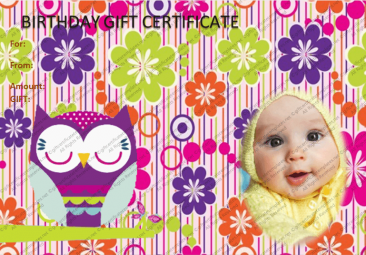 Gift certificates are definitely great for kids as well. 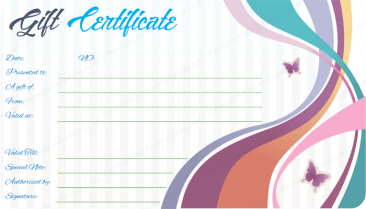 Kids love gift certificates because they can choose that special game or toy or pair of shoes you would have never thought to buy. Mom is so hard to buy for. 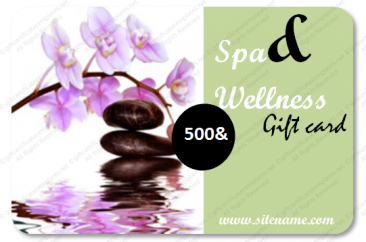 What do you give the woman who has everything she needs or wants? Dad will never tell you that he is tired of getting the same old things even though he smiles as you give him socks or a tie for Father’s Day and his birthday. 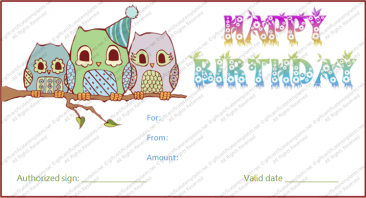 For each celebration and gift you can design your own gift certificates and feel pleased because you added your own personal touch and it was so easy and free to boot. So the next question is, how do I get started? 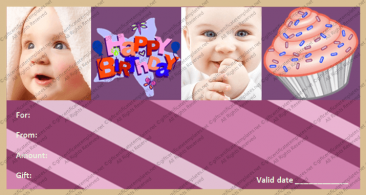 All you need to do is click on download and open templates in Microsoft Word and customize it the way you would love it to look. 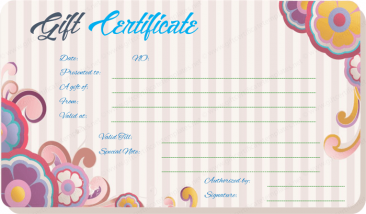 Then type in the name of the person you are designing it for and some basic details and the certificate is ready to go! 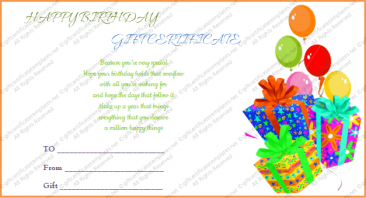 You can print on paper or cards so easy to do and no shopping and crowds. 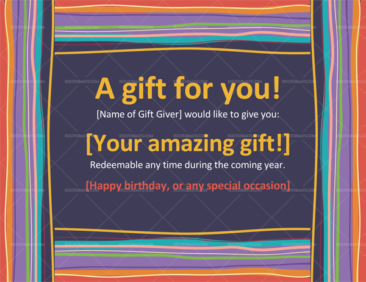 Don’t miss out on this free gift! 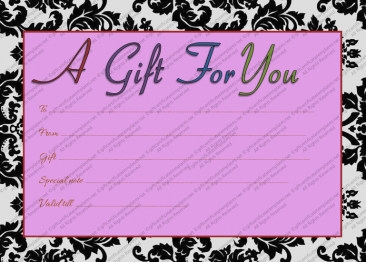 Be sure to hit download and get going because you can probably knock out half of your list with this fun way to give and all designed by you.